When I decided to start this website my ultimate goal was to share my knowledge and passion for all things food and liquid with each of you, in the hope that it would open your eyes and minds to things that maybe you’ve never seen or thought of before. To expand your horizons, so to speak. I strive to do this not only through sharing recipes and wine pairings with you all, but to also introduce you to wines and wineries that maybe you aren’t familiar with, talk about wine and food trends, etc. When I was a wine director at restaurants, one of my absolute favorite things was to expand peoples horizons, get them outside of their norm. I never have, and never will, understand people that are content to drink the same wines over and over and over again. Wine isn’t a marriage, you don’t need to commit to just one! So with this in mind, I will regularly be posting a series of articles titled “A wine you should know…”In these articles I will be introducing specific wines, or wineries, that are outside of the mainstream that I find to be noteworthy. 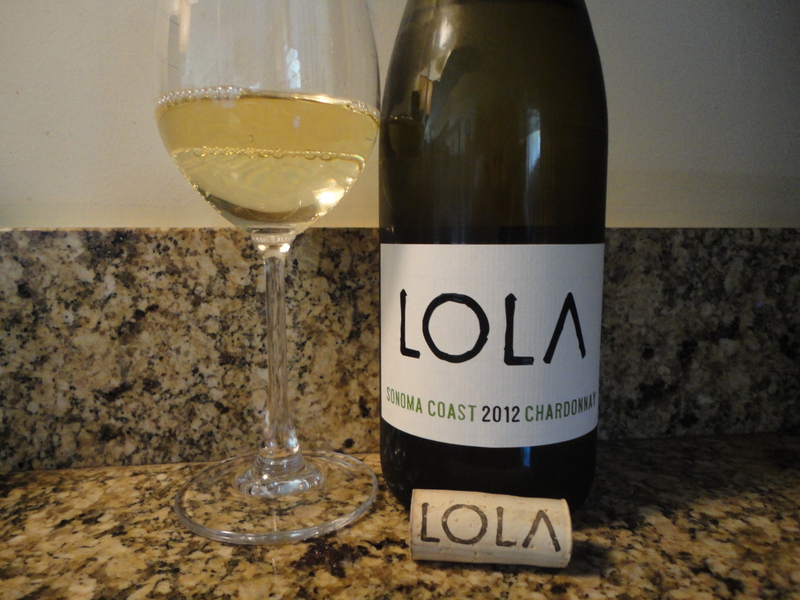 For my first installment of this series is devoted to the 2012 vintage of LOLA Chardonnay from Sonoma Coast. Let’s face it, Chardonnay from California has developed a bad rap in recent years. For some reason that God-awful trend of over-oaked, 100% malolactic fermented, buttery, chewy, high alcohol Chardonnay was huge from the mid-90’s until just a couple of years ago… and there are still a TON of people that look for that. And because that was what was hot, that’s how most producers started to style their Chardonnay to help drive sales. Luckily that trend is finally starting to turn in regards to the consumer base, and there are now some people that will adamantly avoid California Chardonnays because they no longer want buttered popcorn in a glass. So the new challenge is to prove to consumers that not all Cali Chards are THAT. LOLA was started in 2008 by a gentleman named Seth Cripe. Seth worked for Caymus for about a dozen years and by the end of his tenure he was running their vineyards, and he was also a key figure in their Belle Glos project which had him traveling to France for months at a time to learn the art of Burgundian wine practices. So I chose to focus solely on the Chardonnay this go-around (though don’t be surprised if you see something posted soon on his North Coast Pinot Noir or RRV Pinot Noir, both are fantastic!). The wine is 100% Chardonnay sourced from Occidental and Bloomfield, two top tier Chardonnay vineyards. In the glass the wine shows a pale golden hue. On the nose there are notes of Gala apple, pineapple, and candied lemon, along with a very subtle oak presence. On the palate the first thing, and the last thing, to hit you is very pleasant acidity. It literally travels from the tip of your tongue, along the edges and to the back. Mid palate you’ll find beautifully balanced notes of tropical fruit and citrus zest, with the oak once again working as a supporting actor, and there is just the slightest undertone of minerality. Despite minimal oak aging (only 20% neutral French barrel, 80% stainless) and malolactic fermentation (only 20%) the wine still has good weight and depth. I find that it rides the middle ground between being Chablisian and typical Californian. Think Bourgogne Blanc from declassified Meursault or Puligny-Montrachet and you’ll be hitting pretty close to the mark. The finish is a little hot despite only being 13% alcohol, but not unpleasantly so. This wine is perfect as an aperitif, or paired with poached pear or apple, cheese, white fish or poultry. 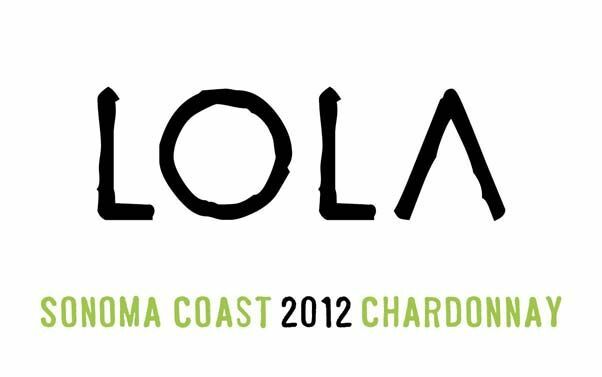 Now it could be difficult for some of you to find, as of now LOLA is only distributed in California, Florida, New Jersey, New York, Alabama, Tennessee, Colorado and Louisiana, but they will be expanding, and you can also order directly from their site (http://www.lolawines.com/). In addition the Chardonnay is relatively small production, with only 1,400 cases made for this 2012 vintage, which means there is not a ton of it to go around. If you live in one of those states, go to your local store or restaurant as ask if they carry it, if they don’t, tell them to get it! If you live outside of those states, well, God invented the internet, credit cards and FedEx for a reason… lol. 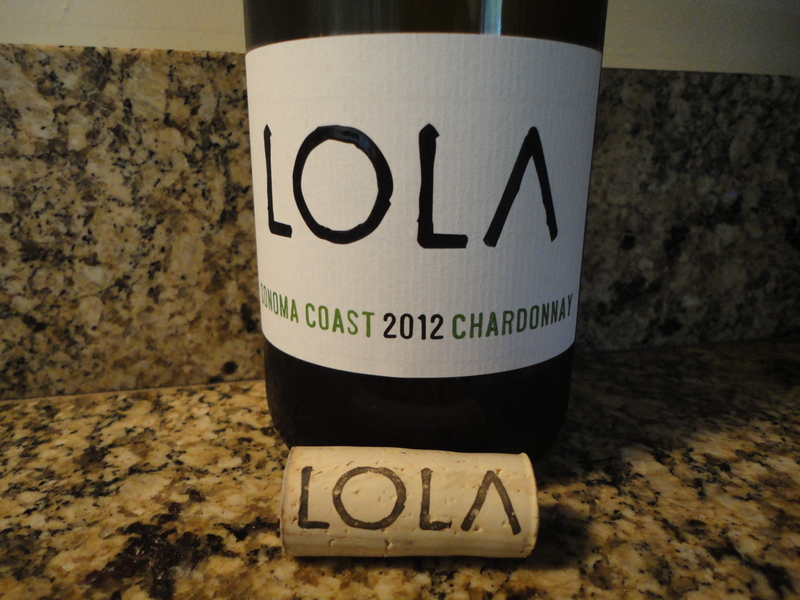 So my score for the 2012 LOLA Chardonnay… 90 points. Well done Mr. Cripe! Oh, and for any of you who are fans of Bottarga (smoked mullet roe that sells for roughly $100/lb when imported from Italy), check out this article: http://www.nytimes.com/2013/07/24/dining/bottarga-an-export-that-stays-at-home.html?_r=0. Seth is making some Bottarga from California that’s just as good as it’s Italian counterpart at a fraction of the price. It’s all the rage in NYC right now! Tags: bottarga, chardonnay, LOLA, sonoma coast. Bookmark the permalink.